Can you confirm these amateur observations of Cercosaura schreibersii? 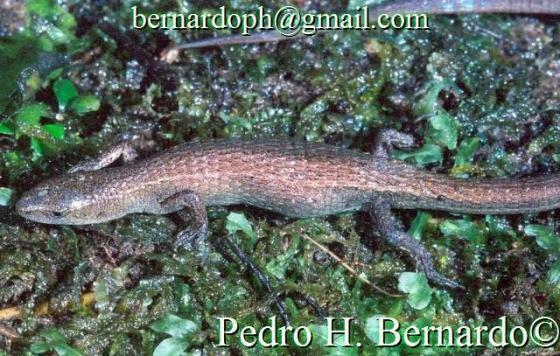 schreibersii: N Argentina, Uruguay, Paraguay, S Brazil; Type locality: Brazil. albostrigatus: Brazil (Minas Gerais to Mato Grosso); Type locality: Sete Lagoas, Minas Gerais, Brazil. Elevation: 0–600 m (DOAN & LAMAR 2012). Comment Synonymy partly after CEI 1993 and PETERS et al. 1970. 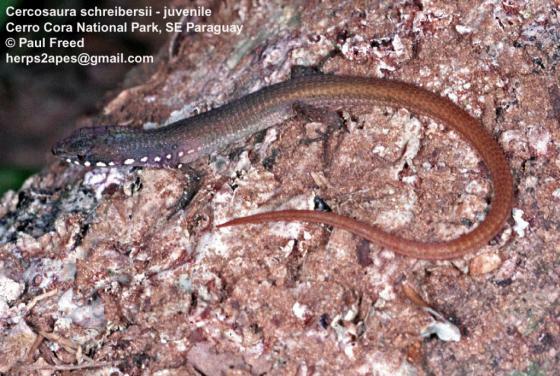 Pantodactylus schreibersii parkeri RUIBAL 1952 has been elevated to full species status. Type species: Pantodactylus d’Orbignyi DUMÉRIL & BIBRON 1839 is the type species of the genus Pantodactylus d’Orbignyi DUMÉRIL & BIBRON 1839. 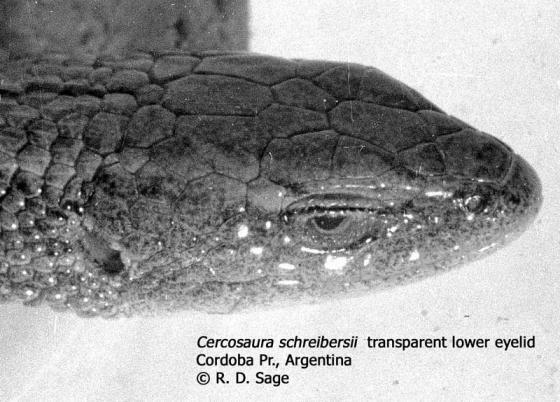 Phylogenetics: Pantodactylus clearly nests within Cercosaura, hence the resurrection by GOICOECHEA et al. 2016 doesn’t seem to be justified (TORRES-CARVAJAL et al. 2016). Hernando, Alejandra 2006. 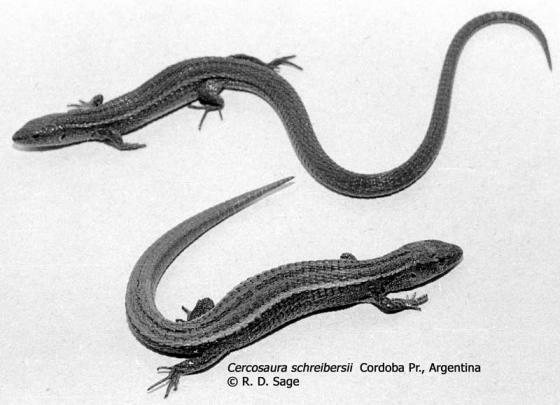 Karyotypic characterization of the Microteiid Lizard Cercosaura schreibersii schreibersii (Squamata, Gymnophthalmidae) including a chromosomal polymorphism. Russ. J. Herpetol. 13 (2): 93-96.